Chipmunks are small ground-dwelling squirrels. In Missouri, the species is Tamias striatus or the Eastern chipmunk. It is identified by five dark brown stripes separated by creamy buff-colored stripes, and a flattened dark tail. Although chipmunks rarely cause enough damage to warrant control, there are occasional conflicts with gardeners and homeowners. 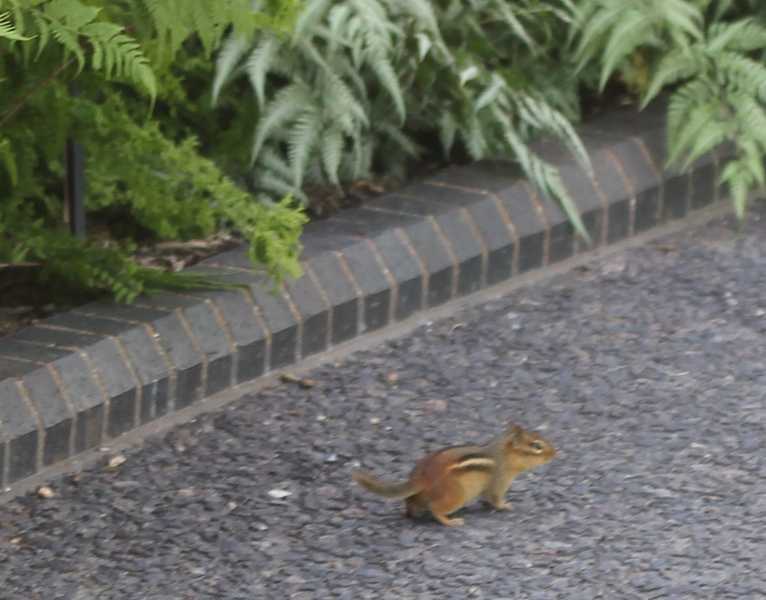 Chipmunk damage is generally caused by their tunneling and digging activity resulting in holes in lawns or gardens; or slumping and water damage to patios, driveways or foundations. Their foraging activity may destroy garden plants, especially young seedlings or bulbs. Chipmunks may become a nuisance when they enter buildings. 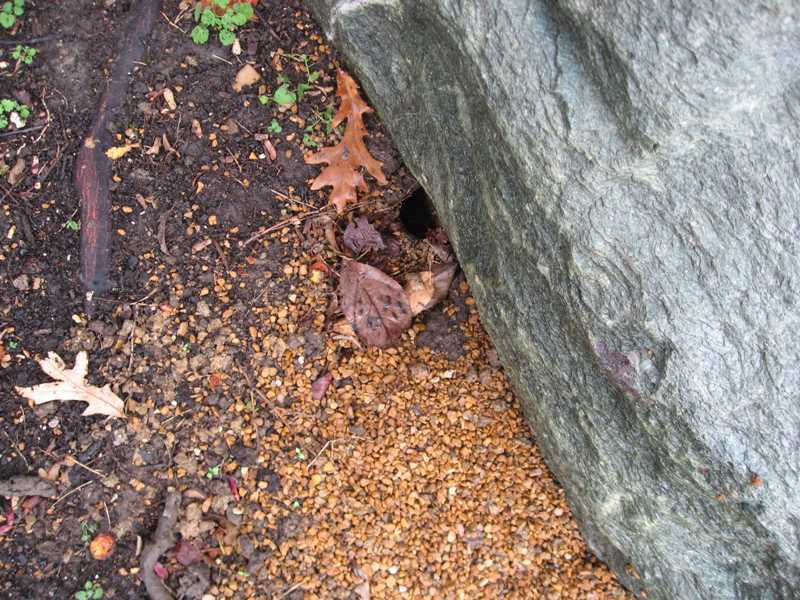 Chipmunks dig an elaborate burrow system consisting of a 2 inch diameter vertical tunnel that extends down about 10 inches, turns and goes 20 to 30 feet, leading to a chamber that is about 12 inches wide by 6-8 inches tall. This chamber is used as a storehouse and may contain as much as half a bushel of nuts and seeds. Nesting material is placed over the food and this chamber will be used for hibernating and raising young from late fall until late winter. Eastern chipmunks have two litters of two to five young two times a year, in late winter and again in early summer. 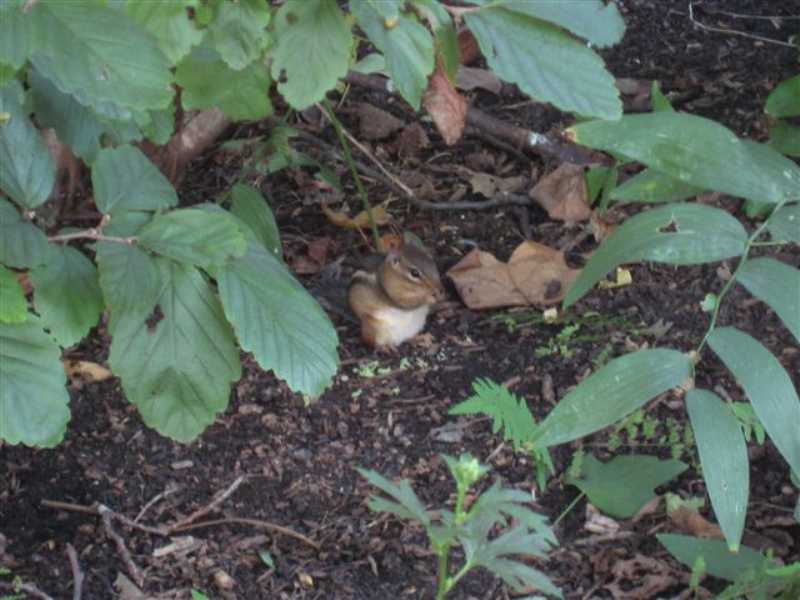 Chipmunks are omnivorous eating a variety of foods including seeds, nuts, berries, mushrooms, insects, worms, and bird eggs. Strategies 1, 2, 3, 4, and 5 are strictly organic approaches.